Although traditional marketing tools such as still-shot photography and video production remain in the forefront of the real estate market, immersive virtual spaces are changing the way we view real property. There are several key points where these 3-D tours differ compared to customary images passed down through generations of realtors. In this blog, we highlight some of those differences. Matterports technology and the ability to produce 3-D video production allows you to capture images from floor to ceiling. Even with standard video production using a boom or crane does not allow a 3-D depth of field. Another point is this new technology presents virtual reality and is interactive. For instance, if you’d like to point out closet space a video is only two dimensional, which does not allow the viewer to engage or to understand the spacing and dimensions of that feature. Matterport was designed for the viewer to have a full experience and not just watch the images flashed on the screen. With Matterports newest feature known as ‘Mattertag Posts’ allows you to extend communication by positioning a text box anywhere in the physical locations. This can be extremely helpful when describing things like material used for countertops. Generally speaking, it is sometimes difficult to comprehend surfaces and textures when watching videos or looking at the stills. You can add important detailed information to Mattertag posts that are not only helpful for the viewer, they also perform as keywords for online searches, causing a spike in algorithms that can lead to more website traffic. While optimizing stills and video is best practice for SEO, Google loves innovation and fresh content, giving these virtual spaces attention well deserved. You can captivate your potential clients with a virtual tour there able to view from anywhere using a smart phone or computer. Additional equipment such as a virtual reality headsets can enhance involvement, allowing a more sophisticated way to view a particular property. Although this technology is still in the beginning phases, there’s been a quick maturity using this product especially in luxury markets. Whether your focus is on the buyer or the seller, by utilizing this action packed, cutting edge tool you’ll offer buyers an opportunity to view properties without spending multiple hours visiting several locations. Sellers will be pleased you’re using innovative tools that highlight the main selling features of their home. As a realtor or professional Matterport tools and technology will help you strategically plan an effective way for you to show more inventory. 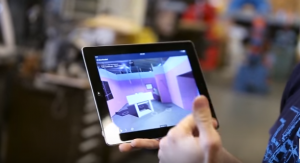 For more information on Matterport and Mattertag features, contact our offices.